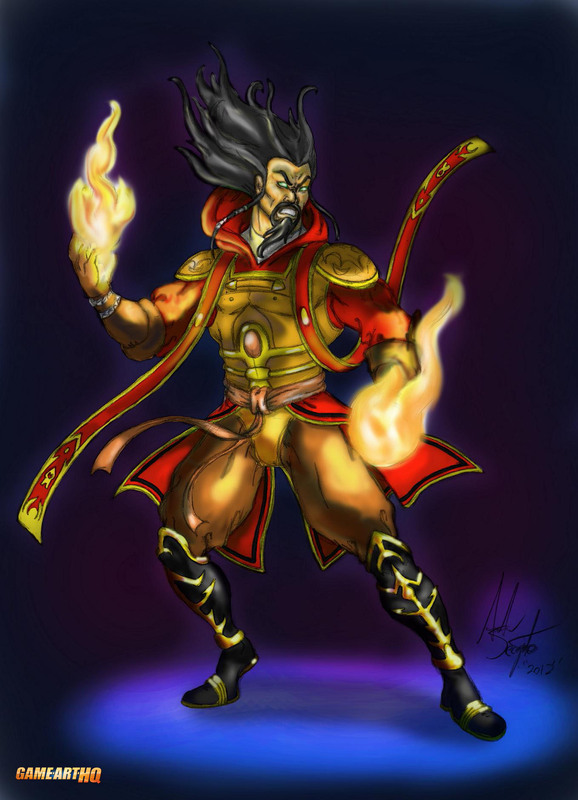 Shang Tsung returned to Mortal Kombat after he was found nowhere in Mortal Kombat 4 and damn, I was happy to see him back in MKDA playing a big role in the game. He got a new look like almost all of the returning characters, making him more looking like a sorcerer than before while he got back his long black hair and beard from MK3. 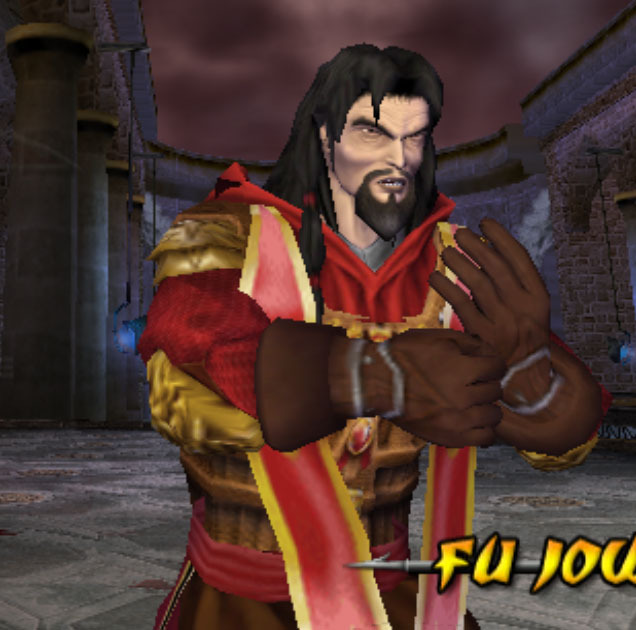 The sorcerer Shang Tsung was imprisoned in the depths of Shao Kahn’s fortress, punished for failing to win the Mortal Kombat tournament in Earthrealm. Periodicaly he was released to perform tasks for the emperor, until he eventually regained Shao Kahn’s favor and was given his freedom. He remained in Outworld, risking his life to drain the souls of kombatants in order to sustain his youth. 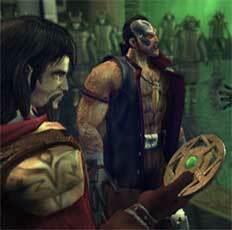 All this changed the day the sorcerer Quan Chi returned from the Netherealm. 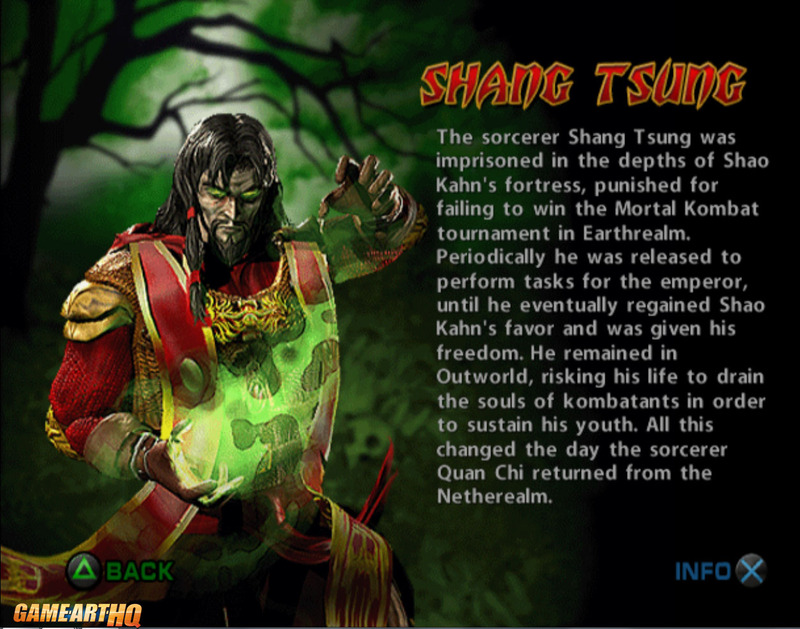 Shang Tsung got not only a new look, his fighting moves and specials were changed a lot as well. 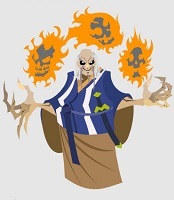 On the positive side he got quite useful “3D” fireskulls as addition to a normal projectile and can also steal a bit life energy from his opponent. His fighting styles the Snake and Crane Kung Fu styles are fitting to his character (but if he consumed so many souls..should he not know many more styles?) and his Straight Sword weapon has a lot useful good-looking combos too. 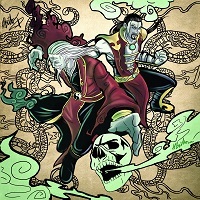 On the very negative side, Shang Tsung lost his ability to transform in the other characters. Due to technical problems which remain till today.MEH! 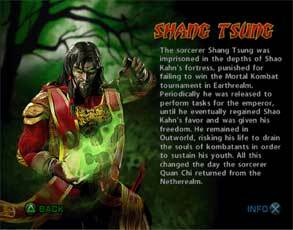 Visit also Shang Tsung’s Game Art HQ Main Profile with more infos, official art as well as featured fan art and more.